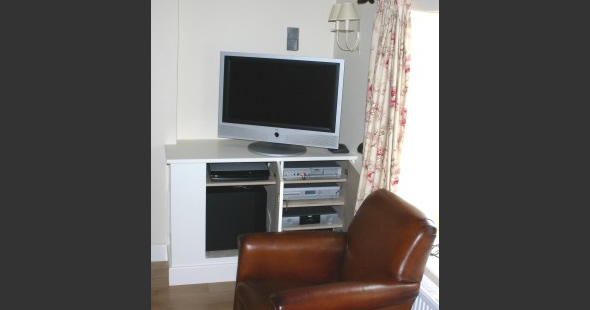 A Bose lifestyle system was installed in a country cottage. Speakers were also installed in the Kitchen and Dining Room. A custom made cabinet housed the equipment and subwoofer to keep out those prying little fingers!